Who doesn’t love James Stewart? 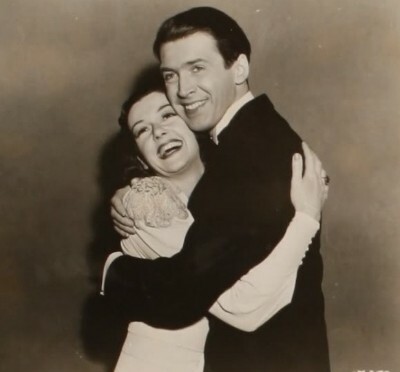 I noticed I’ve been getting a bit lazy lately with the blog, haha, so I thought I’d talk a little about Roz and Jimmy Stewart. 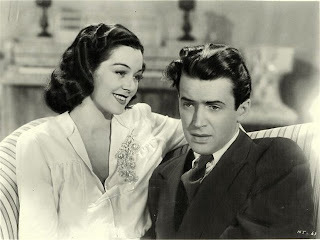 They may have starred in only one movie together [No Time For Comedy (1940)], but they had amazing chemistry and rapport, not to mention a lifelong friendship off screen. 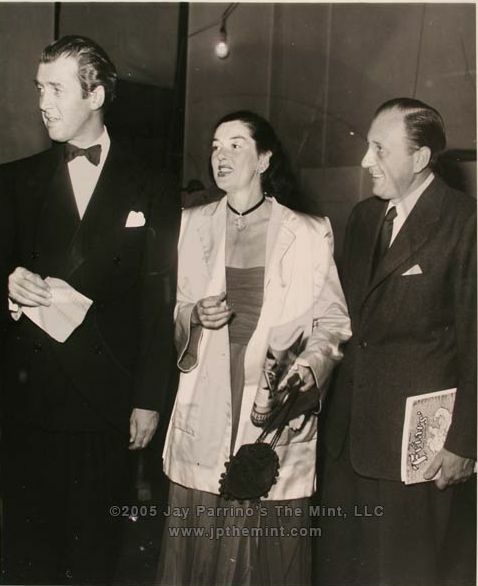 They met in radio around 1936 or so. For the life of me, I can’t remember the name of the radio show, but this was the first time they acted together. 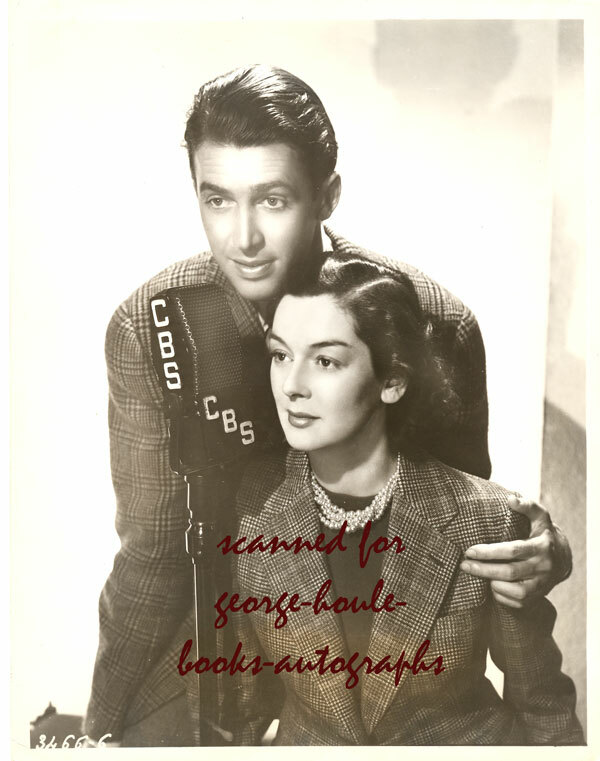 They costarred in several more radio shows as well, and as the newspapers said, they already sounded like a great acting duo. 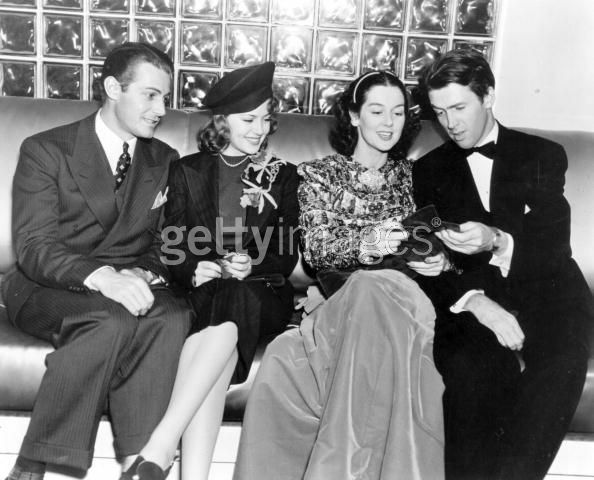 According to some gossip column items in the late 30s (about 1938-1939), Rosalind and James dated quite often. 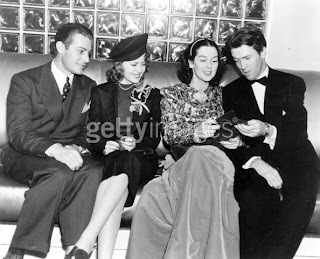 Of course, Jimmy was dating several other women, too, because he was quite an eligible bachelor at the time. 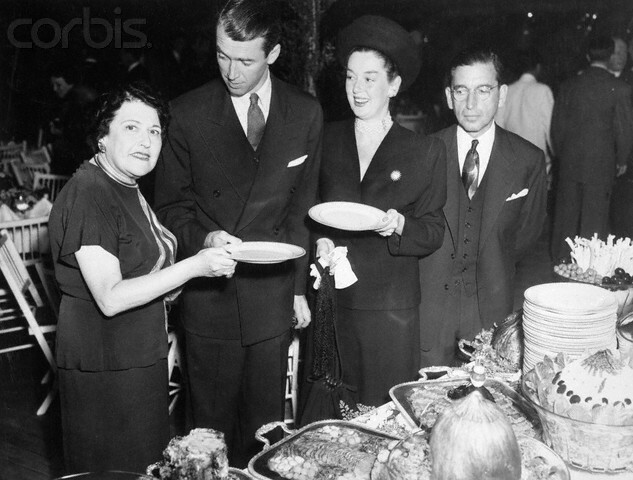 Then again, Roz had already been dubbed “Number One Bachelor Girl” several years before. Fate intervened in 1939 when Roz met her future husband, Frederick Brisson by way of their mutual friend Cary Grant. Jimmy and Roz stayed friends until her death in 1976. 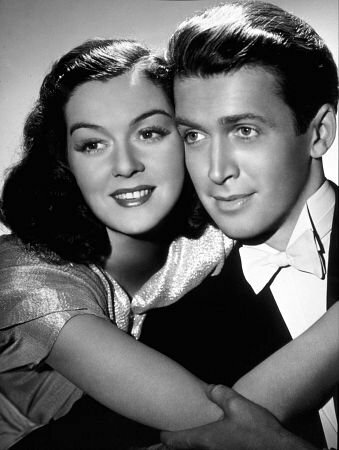 He and his wife, Gloria, gave a party in her honor just three months before she died. At the party, she said this, comparing life to a rope: “It is tied with lots of knots, and it goes straight up. I have been climbing that rope, and each knot I come to is one of you. And then I climb to the next. And to the next. I’m still holding on,” referring to her battle with cancer. That’s gossip columnist Louella Parsons on the far left.